Groups of all kinds are complex organisations. To understand them and to facilitate them in process terms is a matter of rich and diverse discourse in varied fields from sustainable development to coastal ecology; from bandwidth in rural communities to health service provision. How to allow groups to discourse, problem solve and review their own issues and concerns? Diagrams in general and rich pictures in particular can be great means to allow groups to explore their subconscious, their occult sentiments and conflicted understandings. This paper explores and explains diverse use of pictures and shows how they can be applied and understood in group processes of all kinds. Our focus here is on the rich picture, a free form type of diagrammatic representation which has a wide role of functions within human artifice, but especially as a tool to help groups arrive at a consensual analysis of a situation. In a more extended work we have discussed the importance of the way in which groups of people make use of diagrams (Bell and Morse 2010). In this brief paper we will provide some background to the antecedence of rich pictures and to the way in which some have used them in groups and for group work. However, our main aim here is to describe in detail how rich pictures can be used to tell the inner most story of the group – sometimes the unconscious and occult story – and can help the group to move forward. Our proposition is that rich pictures are a valuable output in themselves and deserve far greater attention that we perhaps pay them when they are typically seen as but one step within a bigger process. Bell, S. and Morse, S. 2013. How People Use Rich Pictures to Help Them Think and Act. 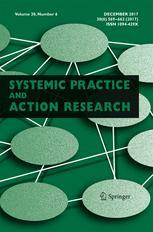 Systemic Practice and Action Research. 26, pp. 331 – 348.